Bel-Air spec house’s price reduced (again). Now it’s just $150 million. The extravagant mega-mansion, which listed for a quarter of a billion in 2017, is back on the market. 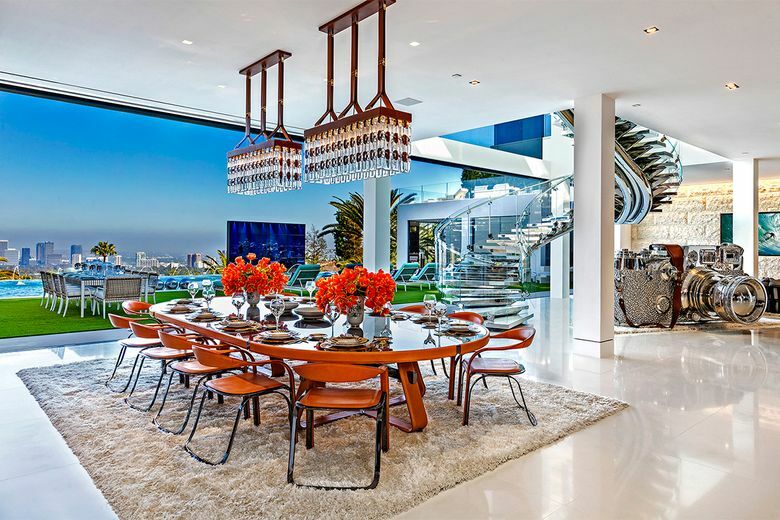 In Bel-Air, California, an extravagant mega-mansion doubling as a monument to opulence just got a whole lot cheaper. The spec house, which listed for a quarter of a billion in 2017, is back on the market for $150 million. Once the nation’s priciest listing, the estate’s towering price tag has now been shaved twice. Developer Bruce Makowsky trimmed it last year to $188 million. With the latest price cut of $38 million, he’s just trying to be realistic. Dubbed Billionaire, the home has just about everything but a buyer. Across four stories and 38,000 square feet, there are 12 bedrooms, 21 bathrooms, five bars, three kitchens, a candy room, a 40-seat movie theater and a four-lane Louis Vuitton bowling alley. Two wine cellars are stocked with Champagne, and an auto gallery is filled with a $30-million fleet of exotic cars and motorcycles — including a Bugatti, a vintage Allard and a custom Rolls-Royce. A Hobie Cat sailboat sits on a deck outside. A helicopter tops the roof. The backyard is anchored by an 85-foot infinity-edge pool with a swim-up bar. In addition, there are 17,000 square feet of entertainment decks that take in 270-degree views from downtown to the ocean. 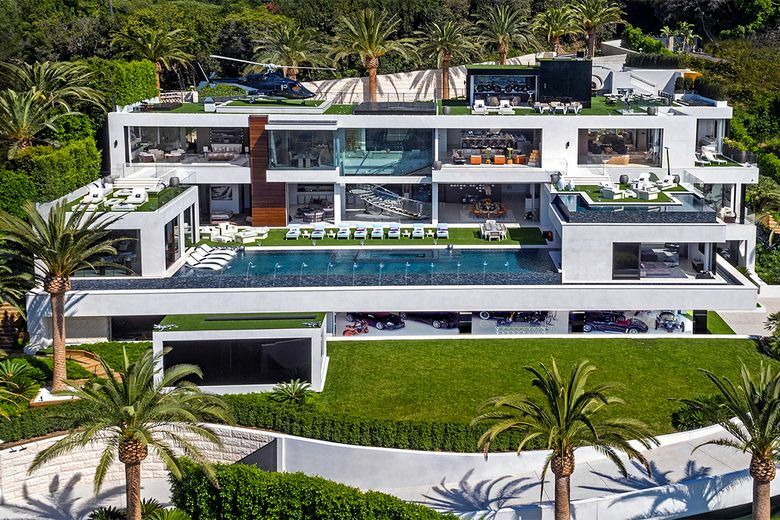 Should it sell for $150 million, it’ll be the most expensive home ever sold in Los Angeles County — by far. The current record belongs to an oceanfront property in Malibu’s Carbon Beach that hotelier Peter Morton sold last year for $110 million. Makowsky said his offering is much nicer, but if the market dictates the most someone will pay, he wants to bring Billionaire down to a range where it can reasonably sell. That level of wealth exists, he said. He added that the $38-million price cut is an adjustment to the global market. As the dollar strengthened compared with the euro and the British pound over the last year, it boxed out potential international buyers — a market Makowsky hopes to attract.